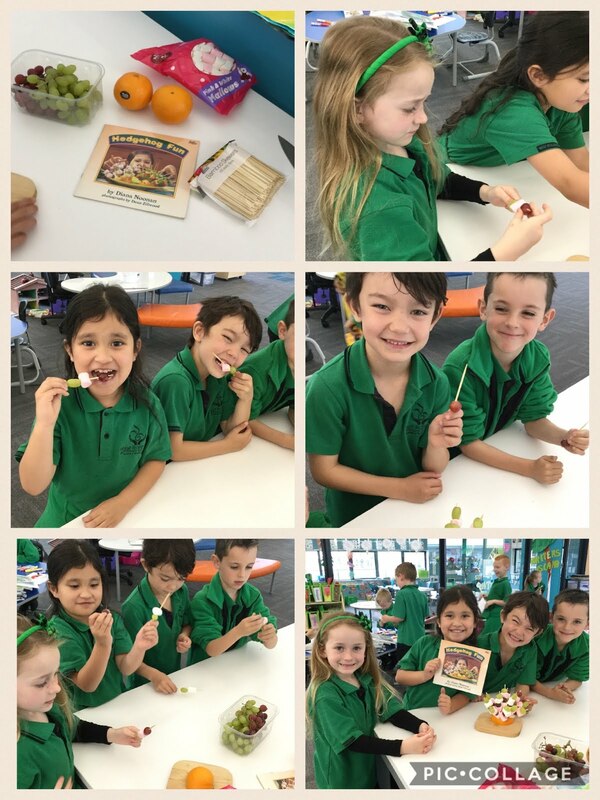 We read Hedgehog Fun and followed the instructions to create our own yummy hedgehogs with orange, grapes and marshmallows! What a great follow up activity! Yum!